My fathers funeral was BEAUTIFUL. James and Shannon from Blackburn-Curry funeral home in Macclenny went ABOVE and BEYOND to take care of my daddy. From the beginning they welcomed my family with open arms. Their facilities are CLEAN, SPACIOUS, and, make you feel right at home. Easily seated my friends and family of 130. It was my first time experiencing death from immediate family and every question we had they guided us through it. They gave him a proper funeral and I’m blessed to have James and Shannon in our lives! Google should have a platinum star rating system.. especially for businesses like this one who truly deserve it. God bless you both for your hard work and dedication to superior service. I would highly recommend Blackburn-Curry Funeral Home to anyone who has recently lost a loved one! They were really compassionate and forth coming with every detail for my Brothers arrangements. Reasonably priced also. I had the utmost understanding that they would treat my brother with respect and dignity that he deserved! I would HIGHLY recommend Blackburn-Curry to take care of my friends, family members, or someone I don't know. I was nervous when I went to Shannon to discuss plans for my mom. She is very kind and has such sweet spirit. She didn't even ask about our insurance policy or discuss prices. We just sat there and talked. She treated my mom like she was her family member. It was not what I expected. It was different from the not good experience of the previous place that did my dad's arrangements. The other place was cold and felt like a dealership. Also, I was so impressed by James when he came to the facility to pick her up. He had the highest respect for her in how he was gentle with taking her to the vehicle. Unlike the other place where they bumped my dad against the side of wall and the way they put him in vehicle to take him. Shannon even was helping save me money with different ideas. No pressure about using her facility for the service. I am just soo thankful for them. I know it was a long review, but I can't help it. Lastly, she remembered a small request I had. That meant more to me than anything. She is a very good listener. James and Shannon are some of the kindest and most compassionate people I have ever met. They made the process of planning your loved one's funeral extremely easy. They truly treat you the way they want to be treated. Very humble and down to earth as well. They were constantly telling us not to hesitate to call them anytime if we had any questions or needed to change something. I strongly recommend Blackburn-Curry Funeral and Cremation if you are ever in need of a Funeral Service. Wonderful, Wonderful people! I have entrusted Jack Blackburn with the final arrangements for several family members. This past week I called on him again for my husband Kenneth. James and Shannon Curry along with Jack took care of every detail. Every call, every question, every detail was handled with the utmost care, professionalism and concern. Their compassion and attention to every detail has always been above and beyond my expectations. It's not ever easy to get through the loss of someone you love. But having a family that works together and takes so much time to make something so difficult as effortless as possible and tries so hard to make the pain so much more bearable makes all the difference in the world. Thank you for everything once again. You are a blessing to us and our community. Even though this was a hard time for our family, Blackburn and Curry Funeral Home made the process easy while showing such care and compassion. They really made you feel at ease, as if you were family! They are very friendly and compassionate in a time when it matters the most. Great people, they treat you just like family!!!! Highly recommended!!!! I don't even know where to start, Shannon and James are the epitome of kindness, compassion, caring. From the moment the call was made and up to the closing of the grave, I just can't express our family's thank you and how blessed and thankful we are to have you be a part of our life, death is never easy, and it is most assuredly one of the hardest things we humans must face, but the smiles, hugs, and just knowing that you know what we are going thru made all the difference in the world. The World needs more of this type of compassion that Shannon and James gives to every person that enters thru their doors. Thank you both again for everything, and may God continue to bless and keep you. Sometimes when we lose a loved one we need our family to help hold us together. The support we felt from James and Shannon Curry felt like FAMILY. When my dad passed after a long illness my mom was just wiped out, after being his caregiver for over 5 years. So making the arrangements came my way. I've been to a lot of funerals in my life and helped with making the arrangements several times but this was the first time it was all on me. I wasn't really sure what to do. My parents live in Jacksonville and I live in Macclenny with my wife and kids. So I googled Funeral Homes in Macclenny, I had been to a couple of funerals at some of the other ones in Macclenny but I was drawn to Blackburn-Curry. I emailed them a few questions and was contacted back within an hour with all the answers to my questions. I contacted the hospital and gave them the contact information to for Blackburn-Curry without ever speaking to them live. I made an appointment with Shannon for the next morning. I felt like I had know her for years. Everything went better than I could have ever expected !! Shannon answered all my questions in a very warm and professional manor that I found very rare with people in this business. I NEVER felt rushed or taken advantage of. My entire family was impressed with James, Shannon and their facility. We all felt at home. Looking back now I would say it was the grace of God that lead me there and I'm very grateful for that !! Thank you so much for everything you did for our family of Mark Fuller. James and Shannon Curry have been outstanding help to my family and friends through the hard loss of our father. They've helped and have been super thorough through the entire process. They are what funeral directors strive to be like. They didn't treat us like business, they treated us like family and I couldn't be happier with the amazing service and love they provided. Thank you so much James and Shannon! I cannot even begin to adequately express my gratitude for the care and love that was shown to my family during the difficult loss of my grandmother. James and Shannon are more than compassionate and professional and went above and beyond to make us as comfortable as possible. They took the time needed to explain everything to us and were fair and reasonable. We will forever entrust our business to them! They have done a wonderful job of renovating their building. It is both beautiful and inviting. Thank you from the bottom of my heart . When we needed them, James and Shannon Curry were there for us in a way that I have never seen a funeral home operate before. When I originally called to discuss things with James he was considerably kind and concise with his information. He told me exactly what I could expect and he assured me that he would take care of everything and that they would care for my mother like she was their own family. When we got to their facility the day after mom left us, to sign paperwork, I had to stop outside because I had so much anxiety about how this process was going to go. I have been in many funeral homes and the feeling when I have walked through the doors of those homes was an immediate onslaught to the senses, a pervading smell of lilies, dim lighting, an oppressive feeling of “otherness”, deep plush carpet that silences your feet and just a wave of feeling all the residual sadness that a building can hold. I knew I had to sign this legal paperwork so I straightened my shoulders and we went in. When we walked through the door we were stunned to see this beautiful lobby with deep plush chairs, couches, light wood furniture and bright sunlight was everywhere. It was like walking into someone’s beautiful home. And there was no smell of lilies which I think I was dreading the most. James and Shannon greeted us and offered us coffee and water before we began with the paperwork. They walked us through two other rooms to get to their meeting room which was just as beautiful and light and relaxing as the rest of the building. They led us through the paperwork with efficiency, kindness and true understanding that this day was one of the worst of anyone’s life. There was no big sales push. No urging to have a ceremony to ensure closure for all involved. They completely respected my mother’s wishes to not have a service. They let us know that they would use whatever vessel that we wanted for my mom’s remains, but wanted to let me know that as an added service to the families who choose cremation, they include at no extra cost a beautiful cherry wood box to hold the remains if we were interested in it. When they showed it to us, we knew that mom would have absolutely loved this beautiful box. So we gratefully accepted their kind and generous offer. I am nothing if not a realist. And I know that funeral homes are in the business to make money, otherwise they don’t stay in business. But on this day, their focus wasn’t on how much money they could make off of the service that they provided to us. And I felt like they treated us with the same dignity, kindness and respect as they would have if we had arranged a $20,000.00 funeral. The day that I went to pick up mom’s remains was extremely difficult for me emotionally. Shannon wrapped me in a big hug and sat me down and asked how we were all doing. She sat and talked with me for some time until I was ready to take mom back home. Shannon carried mom’s beautiful box out to the car gently placed her on the seat and literally read my mind when she said “You might think this is a little silly, but I’m going to buckle her in.” I had been thinking of doing exactly that. James and Shannon made an exquisitely painful point in my life an easy and smooth transition. I am so very grateful that Blackburn-Curry Funeral Home is the company that we used for mom. Thank you, James and Shannon, for more than I can even explain. James and Shannon were so kind and patient with us, taking time to explain everything to us. Having never been through the death of a close family member, it was a relief to know we could trust them with the care of my Mom. They explained all the options and costs to us in a way we could understand. What a Godsend they are to me and my family. Thank you from the bottom of our hearts. If there is ever a time where kindness and trust matter, it's in making final arrangements for a loved one. The staff at Blackburn-Curry are amazing, and definitely have a gift for ensuring their clients are treated better than family. I'm not sure what my family would have done without James's patience and knowledgeable guidance. He completely removed the weight of an unfortunate and stressful situation, and made sure we were always given individualized attention and customized our arrangements. On behalf of my family, we are forever grateful and will always consider it a pleasure to recommend Blackburn-Curry Funeral Home. James and Shannon are wonderful people. They helped me and my family when my son died and when my nephew died. They are very professional and caring during a difficult time. I had an excellent experience at Blackburn-Curry funeral home and will highly recommend them. James and Shannon are who you want to handle your loved ones final needs and wishes. They are caring and there to assist you and your family in a very difficult, stressful, and grief stricken time. 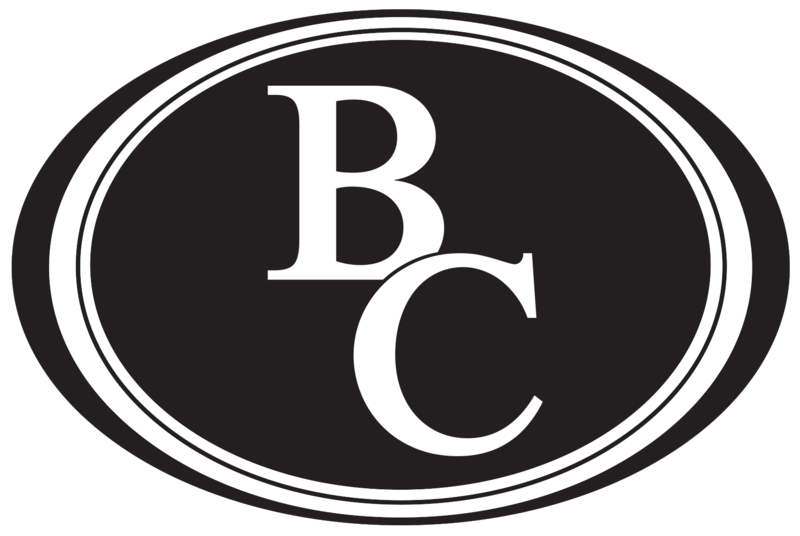 Blackburn-Curry is a loving and caring funeral home who cares about the family during their crisis and times of need. They are the best funeral home I have ever worked with. Thank you for going above and beyond for our family.